The Lost Dogs of America network and website was created and is maintained by the two original founding members of the Lost Dogs network: Lost Dogs of Wisconsin and Lost Dogs Illinois. We developed this network and website to share the articles, ideas and resources that we have gathered from our experience in the successful recovery of thousands of missing dogs. Our member pages are welcome to share our articles and use the website as a resource. We do ask that you do not remove or change our logos. Thank you! 1. Have you contacted and tried to collaborate with any other page currently available in your state? It is always better to try to work together and combine efforts than to duplicate what is already being done. 2. Do you have the ability and time to manage twenty plus volunteers? Even in the smaller states, this is probably the minimum of what the page will grow into. Expect a time commitment of 4 to 5 hours per day (including weekends) to start. This may diminish as your team grows and you can transfer some of the responsibilities to other members of your team. 3. Do you have strong leadership skills and the ability to be able to recruit and train volunteers? Volunteers should have reliable high speed internet. Smartphones and mobile devices are not sufficient. A bilingual volunteer is also very helpful. 4. Do you have strong interpersonal skills that will help you develop relationships with animal control facilities, shelter directors, police departments and other community leaders in your state? 5. Do you have the resources to pay start up costs including jotform, printing, etc? This can add up to several hundred dollars. 6. Do you have a technical volunteer who can help you set up your Facebook page, report forms, flyers, and has the ability to write a program to automate postings if needed? LDI and LDOW can provide some start up mentoring but ultimately this will be the responsibility of each individual organization. 7. Are you willing to adopt our mission and guidelines? 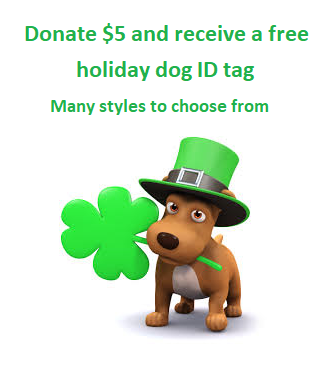 To educate and empower owners with resources and tools to assist them in locating their lost dogs. 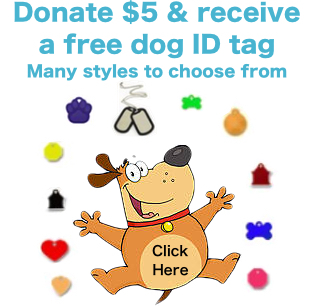 Provide finders of lost dogs with resources to facilitate more reunions with owners. Reduce the number of “strays” in shelters and animal control facilities. Educate the public on keeping their dogs safe. 1. Please develop good working relationships with animal control, shelters, and stray holding facilities. This is the best chance to improve the lost dog system in our country. 2. Please focus on lost dog recovery – not rehomng, rescuing or off-topic subject matter. 3. Please discourage rewards and refrain from posting them on your page except in all but the most unique circumstances. 4. We ask that you don’t endorse fee-based pet detectives, psychics, animal communicators, dousers, and tracking dog services. Owners should be researching these themselves, if they choose to use them. 5. We advise that you do not use pictures of children. Children’s pictures can usually be cropped or blurred to conceal their identity. Also, ask permission to use pictures of any people in your postings.